London is the undisputed world capital of football. No other city can boast as many professional football clubs, or such collection of large football stadiums. A London football trip is a must-do experience for any football fan. London’s football landscape is still changing rapidly. 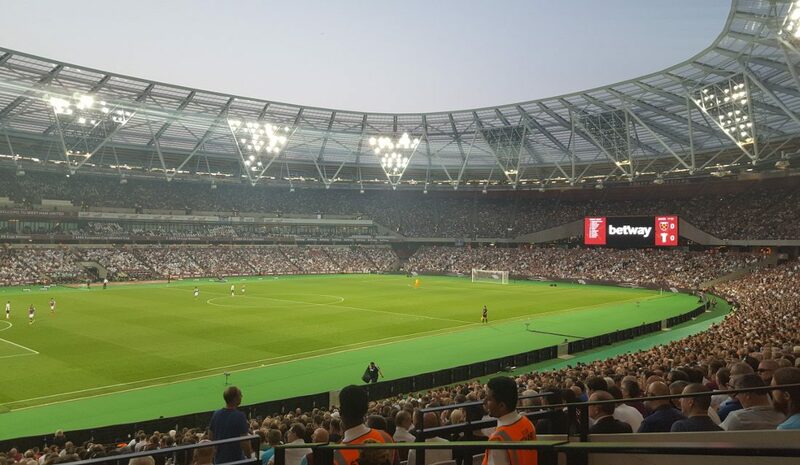 While its collection of football stadiums is already beyond impressive, new football stadiums continue to be built and in a few years London will be able to show off five 60,000+ football stadiums. There may come a time that London will be able to host a World Cup on its own. London has one of the absolute temples of football in the form of Wembley, and large existing modern stadiums in the form of the Emirates Stadium and West Ham’s redeveloped London Stadium. Spurs will soon add their own large new arena to this, and Chelsea are likely to follow suit in a few years, though both White Hart Lane and Stamford Bridge are fine stadiums by themselves. But London is not all about large modern football stadiums. In fact, what makes the city so attractive is its variety from large to small. 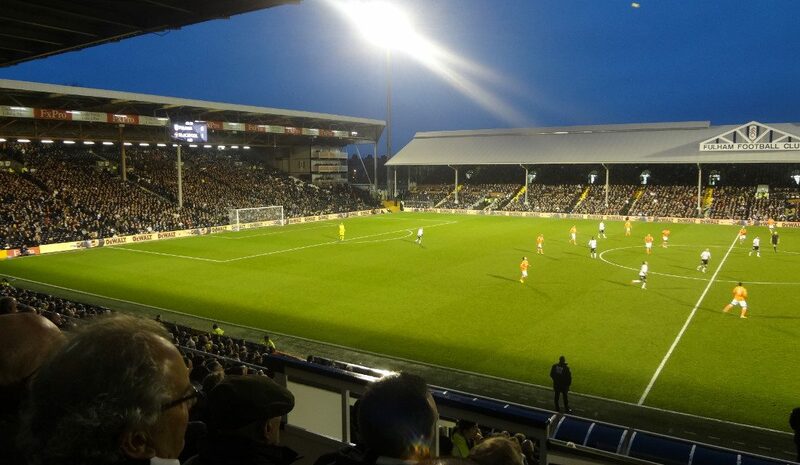 There are, for example, Fulham’s Craven Cottage, perfectly located on the banks of the Thames with its magnificent classic main stand, Crystal Palace’s atmospheric Selhurst Park, Leyton Orient’s quirky Matchroom Stadium, and Wimbledon’s cosy Kingsmeadow. 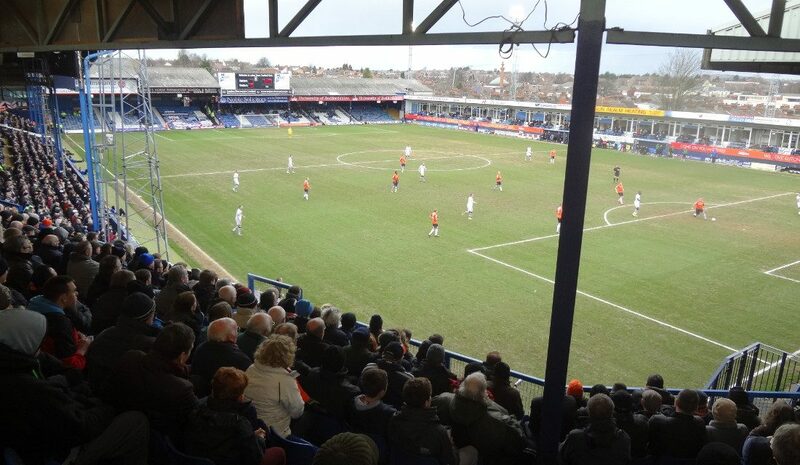 Further out, there are some beautiful old classic stands in places like Luton and Southend, intimate grounds in the likes of Crawley and Stevenage, and still plenty of terraces for more of an old school football experience. You’ll quickly make your way through London from one ground to another with London’s excellent transport connections, and with a spread out schedule you will easily be able to pack multiple games in one weekend. A London football trip is still nearly impossible to beat. However, there are a few exceptions, even in London, and in these cases a train ride is generally required to get to the stadium. While perhaps not as frequent as the tube, the train system isn’t particularly hard to navigate either and trains still tend to run regularly and all London stadiums can be reached on your Oyster transport card so no need to buy separate tickets. Of course, most stadiums are served by buses as well, though few visitors will end up using these unless you’re travelling local. If that’s the case, it’s worth checking on of the journey planner apps to see if a bus is quicker for you. City-wide journey planners such as the Citymapper app, Google Maps, and the TFL website will help you with your journey. They do cover trains as well, but train journey planners such as nationalrail.co.uk and thetrainline.com might come in handy as well. Get on the tube on a Saturday and you’re bound to bump into loads of different football fans travelling in, out, through, and around the city. The tube and trains rarely get too busy before a match, but schedule in a bit of queuing after the match if it’s one of the larger stadiums. Below table gives you a very rough idea how long it will take you to travel to each stadium from three central London destinations. Wembley Stadium is as well-connected as you would expect: three tube lines, the Bakerloo, Jubilee, and Metropolitan line, all stop close to the stadium, though most will choose the quick Metropolitan. If it’s a sell-out, there’ll be a bit of queuing after the match, but crowd management is excellent. 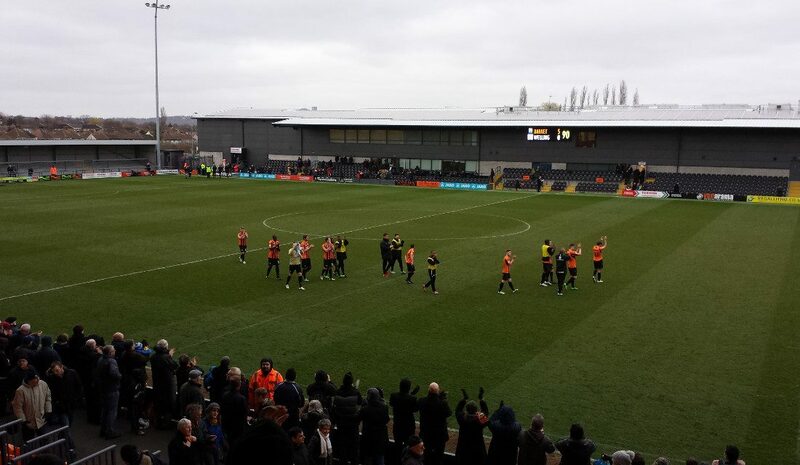 A few stops further up the Jubilee line there’s Barnet’s The Hive Stadium. It’s a 10-minute walk from Canons Park station to the stadium, but it’s an easy journey. 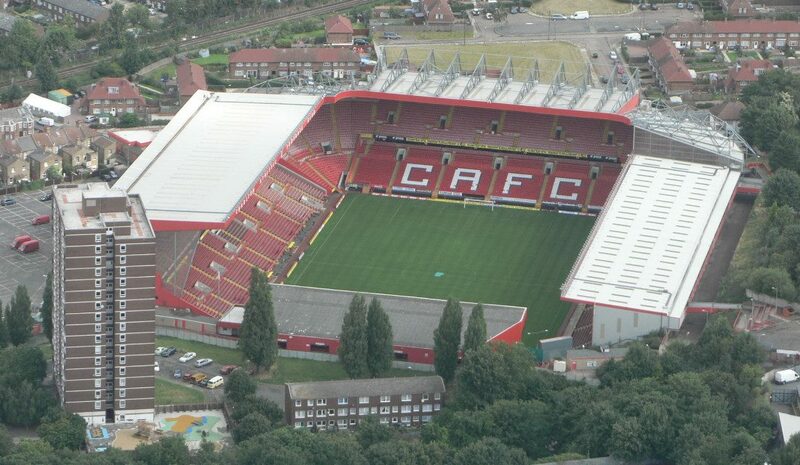 Not officially in London, but still within the M25 ring road and in the London metro area, is Watford’s Vicarage Road. It’s still about just on the tube, at the end of the Metropolitan line, though catching a train from Marylebone is generally quicker. The Emirates Stadium is equally well connected with both the frequent Piccadilly and Victoria lines running past the ground. Again, there’ll likely be a bit of post-match queuing for the tube station. 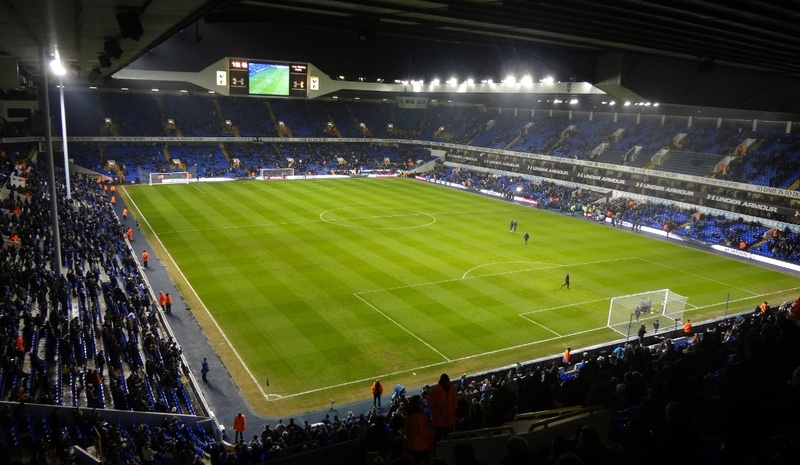 Spurs’ White Hart Lane, however, isn’t on the tube unless you fancy the 30-minute walk from Seven Sisters station. For those who don’t, catching a bus from Seven Sisters or a quick train ride from Liverpool Street station is the way to go. Prepare for some post-match queues for the train station though. West Ham’s new London Stadium is located right next to one of London’s prime transport hubs: Stratford. You’ve got the choice between two frequent tube lines, the Central and Jubilee line, an overground line, the DLR, and many train and bus services. 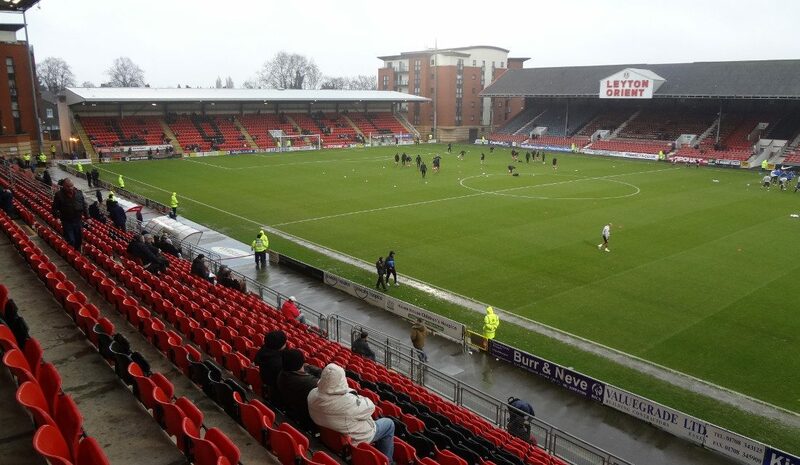 Leyton Orient’s The Matchroom Stadium is only one stop beyond Stratford on the Central line: station Leytonstone. Very easy to reach, and no worries about queuing after the match. South East London is train territory, though you can reach Millwall’s The Den by tube if you don’t mind a 20-minute walk from tube station Bermondsey on the Jubilee line. Otherwise, catch a train from London Bridge station. No tube option for Charlton’s The Valley though, which can also be reached by train from London Bridge station. The train is also the only way to reach Crystal Palace’s Selhurst Park. Catch a train from London Bridge (or Waterloo) station for the 15-minute journey. 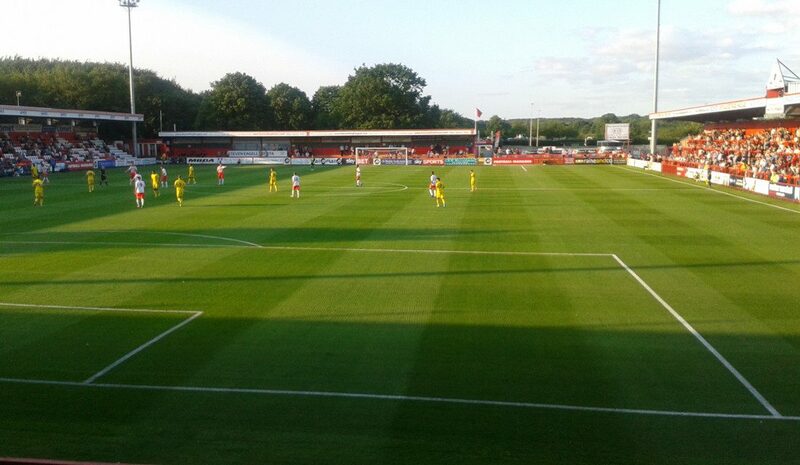 It’s a slightly longer train journey to Wimbledon’s tiny Kingsmeadow stadium from Waterloo station, to which you need to add another 10 minutes walking. West London is back on the tube again, but it’s not always the quickest and highest frequency lines, for example in the case of Chelsea and Fulham, which are both on the District line, though the Piccadilly line offers an alternative for those willing to walk a bit more. 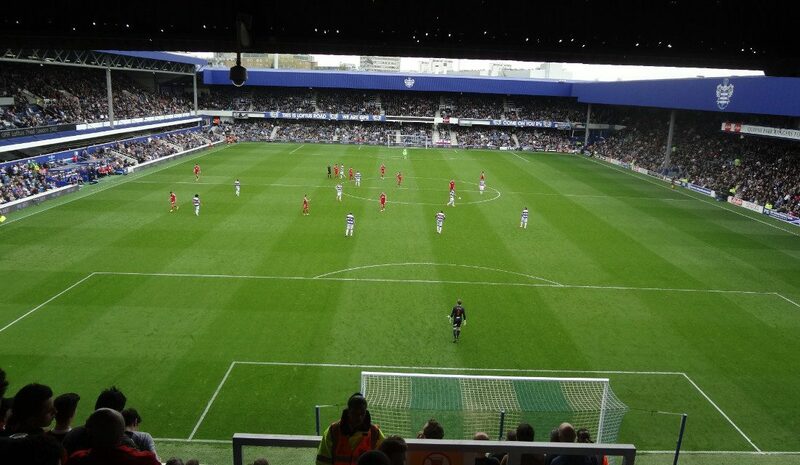 QPR’s Loftus Road is one of the most central stadiums and easy to reach with the Central Line or Hammersmith & City / Circle Line, but Brentford’ Griffin Park, further west, is a bit more of a challenge with a train journey from Waterloo or a significant walk (or bus) from South Ealing station on the Piccadilly Line. Obviously, if you’re travelling outside of London a train journey is always needed, which can be a quick one or a slower one. Depending on where the stadium is located you may then need to add a short walk, a long walk, or a bus ride to your journey. 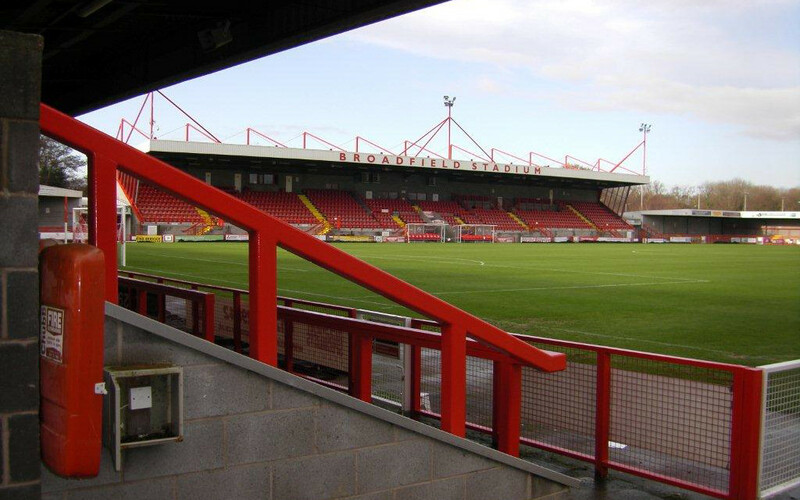 In the case of Gillingham, Luton, and Southend it’s only a short walk from the station, in the case of Crawley and Stevenage either a longer walk or a short bus ride are needed, but in the case of Reading and Wycombe you’ll need to add a (shuttle) bus ride to your train journey. In all cases, within and outside London, always make sure to check your journey beforehand as there are regularly changes to the service on the weekends due to maintenance works. London has six airports with international flights: Heathrow Airport, Gatwick Airport, London City Airport, Luton Airport, Stansted Airport, and Southend Airport. The first two have most intercontinental flights, while the last three and Gatwick have most low-cost flights. In general, it doesn’t matter too much which airport you fly into as all have rail (train / tube) and often bus (cheaper) connections into London, and you’ll be travelling through central London anyway to get to your stadium, often even if they’re in the same part of London. Of course, if you’re staying in Southend, try to fly on Southend Airport, and if you’re staying in Luton, get a flight to Luton Airport. Furthermore, if you have the choice, Gatwick Airport might be convenient if you’re staying near Selhurst Park, while Heathrow works well if you’re staying near Griffin Park. It’s easy to find your way around London so in general there’s no need to stay close to the match you’re attending. 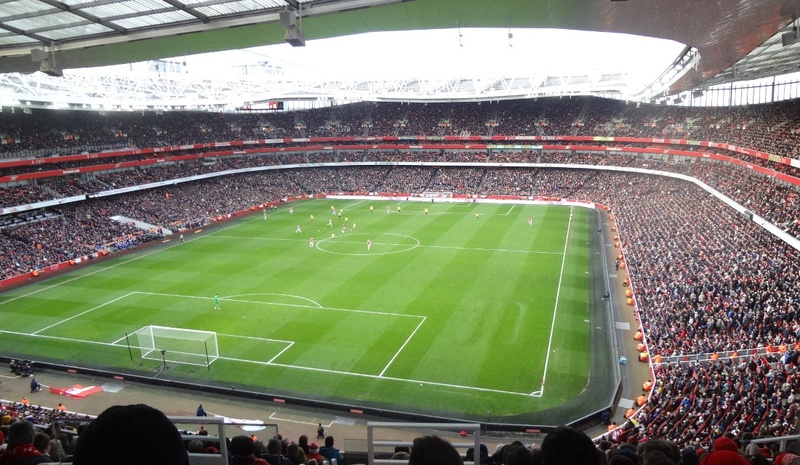 Most people will therefore decide to pick any hotel in London that they consider good value and fits within their budget, and from there make their way to the match and back. Of course, you may have a reason to want to stay particularly close to a stadium, perhaps to be back at your hotel quickly if it’s an evening game, or just because you like the idea. In some cases that’s pretty easy, in others a bit of a challenge. 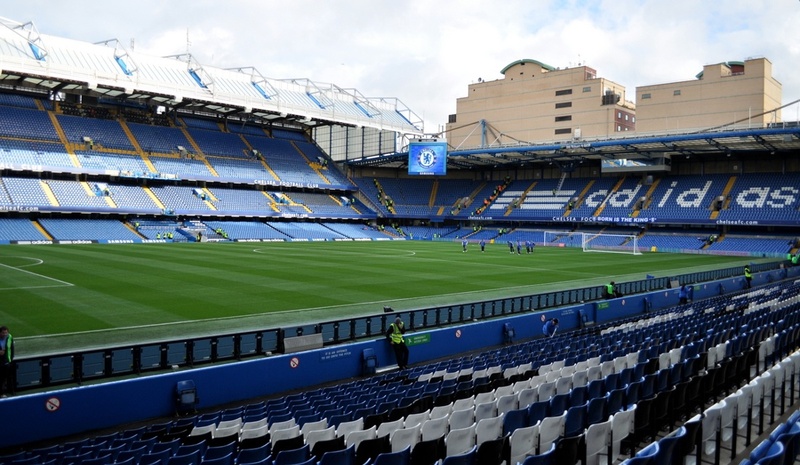 In central London, both Stamford Bridge and (to a lesser extent) Craven Cottage are located at close distance from the South Kensington and Earls Court areas that are packed with tourist hotels. There are plenty hotels not too far from QPR’s Loftus Road as well, which is also relatively close to the Bayswater area, another popular hotel area. 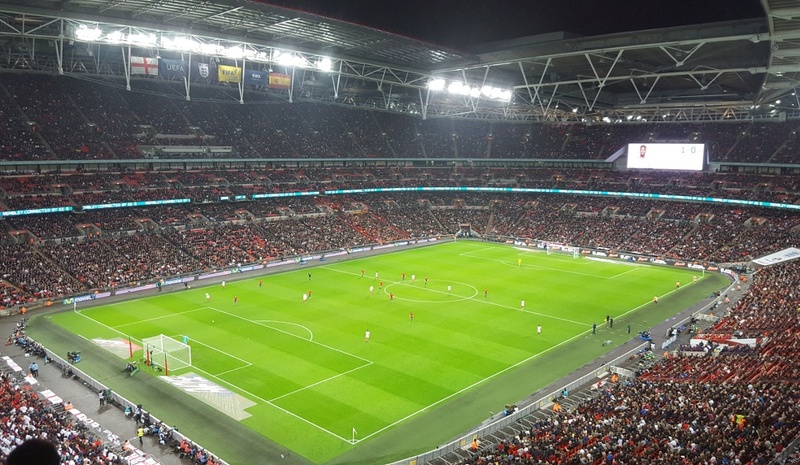 Further out of the centre, there is a decent choice of hotels near both Wembley Stadium and London Stadium, even often a little more affordable than in the centre, and with the excellent transport connections you’re quickly in central London. 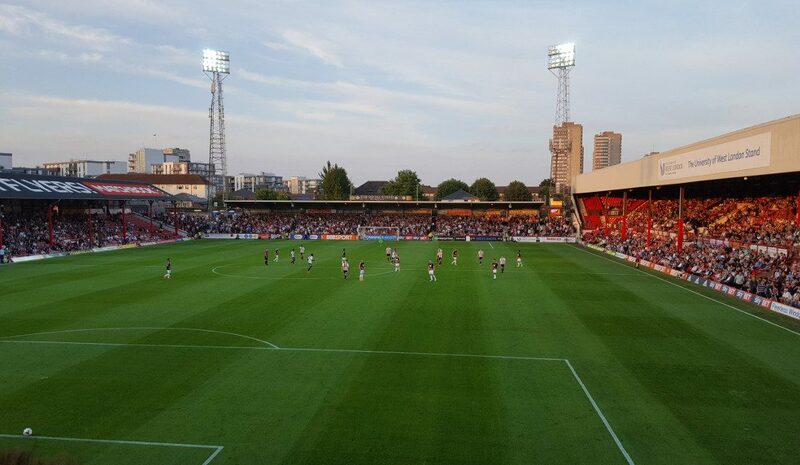 In some cases, for example the Emirates Stadium, Griffin Park, and Vicarage Road, choice is limited, but there’s still the odd chain hotel and a few local ones around, but in other cases you’ll be lucky to even find a basic local hotel. Of the larger stadiums, White Hart Lane is the only one with no hotel around (though there’ll likely be one soon once the new stadium is ready). Of course, you will always be able to find an apartment rental through the likes of Airbnb if you must stay close. 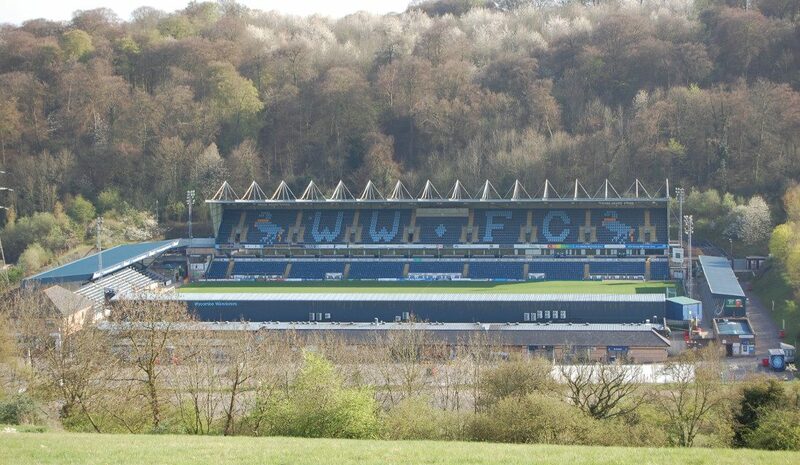 Outside of London, the choice of hotels will likely be a bit more limited, but there will nearly always be the odd hotel in the local city centre or a roadside hotel not too far from the stadium. Getting tickets for one of the London clubs can be very easy or ridiculously hard depending on the club. 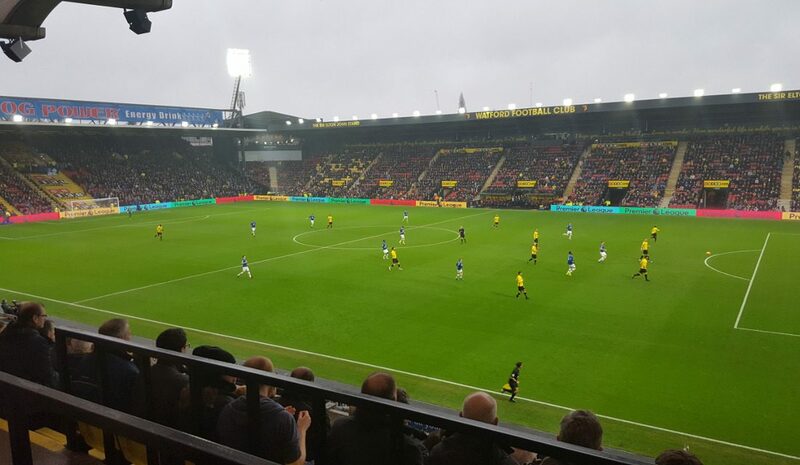 If the club doesn’t play in the Premier League, you can nearly always just show up on the day and buy your tickets at the stadium before the match, though if it’s an important match or a local derby it’s always better to buy in advance plus it saves you some possible queuing at the ticket office before the match. The one exception here is Wimbledon. 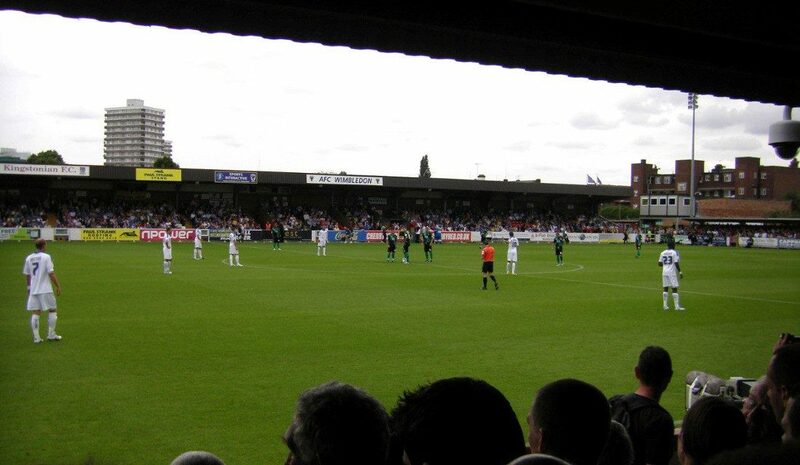 Kingsmeadow is a small stadium, and while Wimbledon don’t sell out every match, they do occasionally, so for any high-profile match it’s recommended to buy in advance. If it’s a Premier League match though, getting tickets might be harder. In all cases, you’ve got to buy in advance as most London Premier League clubs tend to sell out regularly. The easiest to get tickets for are normally Watford and West Ham, unless one of the top teams comes to visit. It is still necessary to buy (well) in advance for a regular Premier League match, preferably when they go on general sale, but if you do you’ll normally be able to get some tickets. Getting tickets for Spurs didn’t use to be too difficult either, but it’s their last season at White Hart Lane so demand is up. It will likely be easier again if they move to the much-larger Wembley next season. 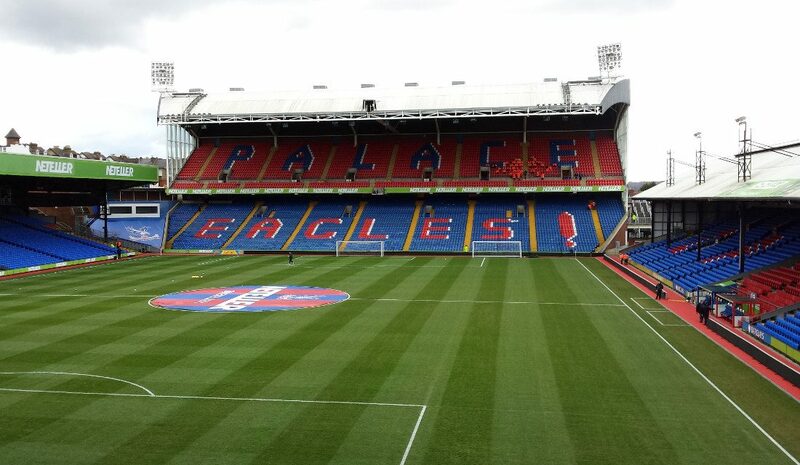 There’s a catch with Crystal Palace as they only sell tickets to club members so you need to buy a membership on top of your tickets to get to the match. Once you’ve got that done, it’s not too hard to get a ticket for a regular league match if bought in advance, but of course it adds to the price if it’s a one-off visit. The toughest ones are Arsenal and Chelsea, who both sell out every match. Just because demand is so high, you’ll need to buy a club membership to be able to get tickets as all tickets tend to sell before they go on general sale. You may be luckier with an early round Cup match or low-profile Champions League match, but if you really want to attend a match of these two, you’ve got to invest in a club membership. Once done, make sure you buy your tickets directly when the tickets go on sale for your membership level. All clubs sell their tickets online, which is the best way to buy your tickets if you do so in advance. Most websites are rather easy to use and they ship your tickets or you’ll be able to pick them up from the ticket office on the day of the match. Tickets for the England National team aren’t generally too hard to get either. Few qualifying matches and friendlies sell out, but make sure you buy in advance online. 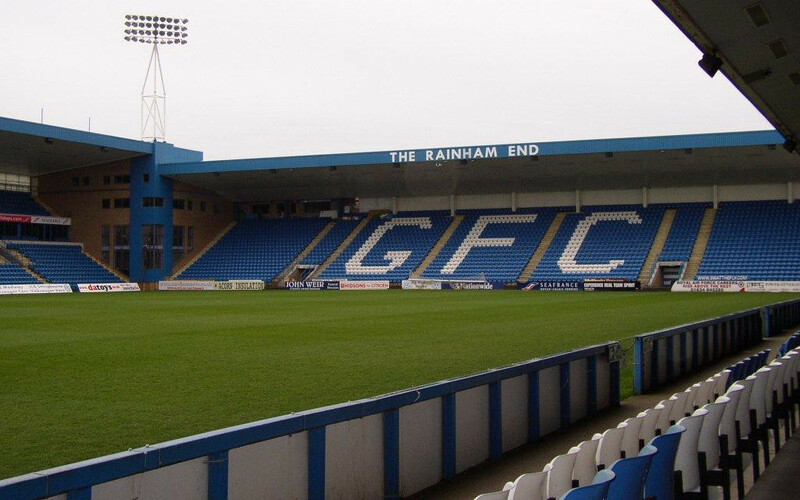 If you’re in town during a week with no matches, missed out on tickets for one of the big clubs, or for some other reason can’t make it to a match, then a stadium tour can be a good alternative. It will also give you the opportunity to see parts of the stadium that you won’t be able to see during a match. Wembley, Arsenal, Chelsea, Spurs, and West Ham all run many tours a day, though Spurs have reduced tours now that White Hart Lane is in its last months. In some cases these are self-guided, in other cases a guide will show you around the stadium. Sometimes booking is necessary (or strongly recommended to not miss out) while in other cases you can just show up. Booking can be made online through the official websites. 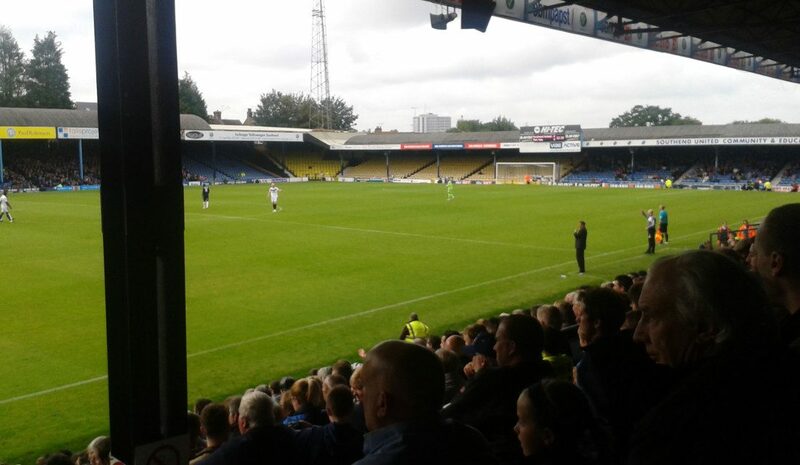 Some smaller clubs offer tours too, e.g. 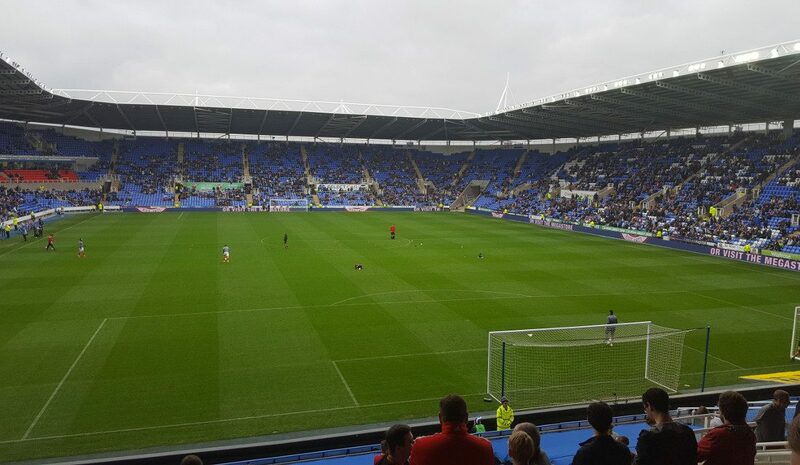 Fulham, Reading, and QPR, though not as regular as the big clubs, ranging from once a day to once every other week so make sure to look up the current schedule on their websites and to book your spot where required. Many clubs also offer special premium tours, e.g. guided by an ex-player, or on the day of the match to witness preparations. They will list these options on their official website.